9:00 a.m. - 6:00 p.m.
10:00 a.m. - 5:00 p.m. 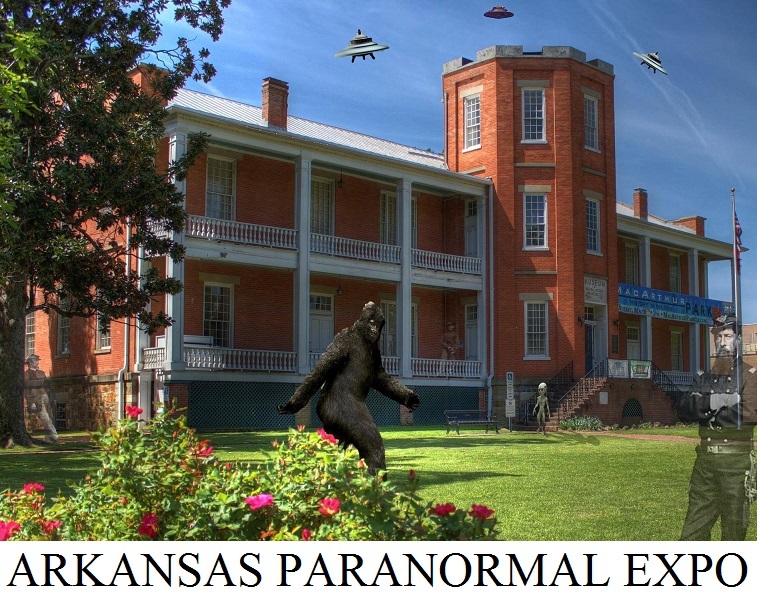 The Arkansas Paranormal Expo is a benefit supporting the MacArthur Museum of Arkansas Military History. The Tower Building which was built in 1840, is listed on the National Register of Historic Places and is the birthplace of General Douglas MacArthur. It is our mission to raise funds to help preserve this beautiful, historic building. The Arkansas Paranormal Expo has grown to be the biggest and most popular event of its kind in all of Arkansas. This year's Expo will once again precede its honorable reputation. The talented A.P.E. organizers are adding even more vendors and speakers! Subjects such as, UFO's, Bigfoot, Cryptozoology, The Supernatural, Psychic Phenomena & Ghost Hunting will take the stage, proving in-depth education and intriguing insight. We are proud to showcase and support keynote speakers, local experts and forerunners of paranormal exploration. Everyone loves our Raffle! There will be a variety of items, such as a Kindle Fire 7, Ghost Hunt at MacArthur Museum, Gift Baskets, Books, Haunted Tours of Little Rock Tickets, Razorback items, Psychic Readings and much more! The Expo is proud to announce that we will be supporting the Open Arms Shelter again this year! We're excited to help provide items needed for this great organization. There will be a drop off area for donations and your name will be automatically entered in our raffle drawings! Items needed are: backpacks, duffel bags, games & toys, paper products, outdoor/sports equipment and gift cards for rewards. You can go to the website below for the entire Wish List! Special Thanks To Our Sponsors & Volunteers! Sponsors: Arkansas Ghost Catchers, Linda Howell with Haunted Tours of Little Rock, Adrian & Tina Scalf with River Valley Paranormal Research & Investigations, Alan Lowe with The Spirit Seekers & Jason Mansfield with Parapalooza. Volunteers: Heather Burton Amaro, Robbye Flynn, Kimberly Campbell, Vicki Walden, Kristie Flynn, Trisha Wilkison, Haley Wilkison, Stephanie Jackson, Cathy May, Jeri Hardcastle, Donna Miller, Kay Tatum, Stephan McAteer and the MacArthur Museum Staff, Reveille, Shayne & Randy! Saturday, October 5th, 2019 - 9:00 a.m. - 6:00 p.m.
Sunday, October 6th, 2019 - 10:00 a.m. - 5:00 p.m.
TICKETS SOLD AT THE DOOR! $10.00 pass for the weekend! Cash, Check, Credit Cards Accepted! *All admission, raffle and vendor fee's will be donated to MacArthur Museum. * Psychic/medium readings will be available. Check out our vendor page for more information. Hotel - Holiday Inn Presidential - Arkansas Paranormal Expo discount rate of $94.00 - Located - 600 Interstate 30 - 1 block from MacArthur Museum. Call Kim Duarte at 501-375-2100, Ext. 6100 for reservatons or click link below. 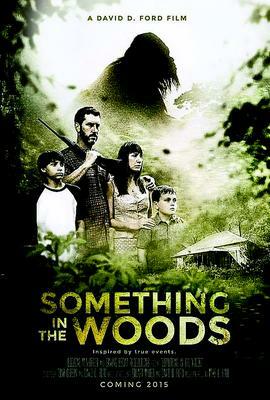 There will be a special screening of "Something in the Woods." A true story of the Hartman family of Washington that was terrorized by Bigfoot in the 1960's. Saturday & Sunday 2:00 p.m.
Copyright©2011-2019. Arkansas Paranormal Expo. All rights reserved.